For the people who have followed my blog for some time, or even for a short time, you may have picked up that one of my favourite words, and things, is serendipity. Today she intervened again. 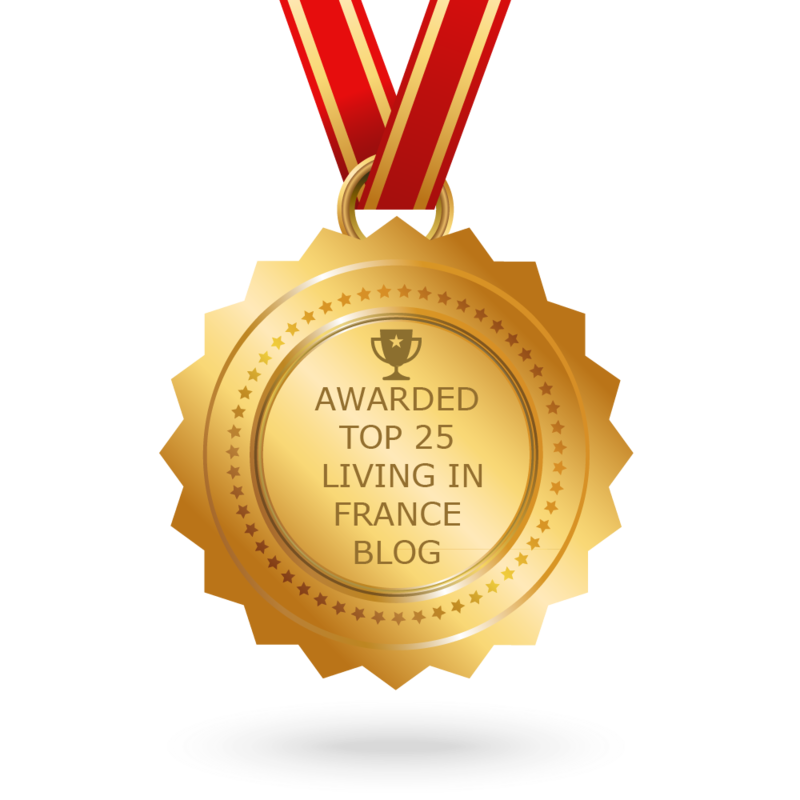 I opened a post from my dear fellow blogger Roz Russel (Ourlifeinfrance – can be found on bloglovin.com) in which she was asking us to post for another fellow blogger who had requested us to say how we chose our house and why we came here. I had already been thinking about posting some of my hand written blog, that I had kept way back in 2015 as we were boxing up our house to make the move out here. My reason for this was to show those who are afraid, but thinking about jumping off that cliff, that no, it is not easy, and can be heartbreaking. This request has made me decide that I am going to do this over the next few days, some of the posts will be very emotional, because that is how felt at that time, some are raw, because I loved this house, as did our son, who did not want us to go. So how did we choose our house in France? We first came to the Pays de Loire in 2013 on holiday. We had fallen in love with France since 2007 when we first came over and drove past Calais and Cite Europe, following the coast road, with no hotel booking nothing. We only had a map and even then we decided to just see where life would take us. (You will need to see my first book when it is printed to understand why.) But France had become our spiritual home, it felt like home. In 2013 we stayed at a beautiful Gite in a tiny little village called Larchamp, and just loved the tranquility. There were some cities to visit, it did not have the many chateau’s of the Loire, it did not have the breathtaking villages and towns cut into the rock, as in the Dordogne, but we had the most relaxing holiday ever. We did not feel as if we had to dress up, which although I loved it (still do) it had become a chore. We just felt so relaxed. As I have said before my job was an unbelievably full on job in the NHS and I had just been asked if I would join another Trust that was in trouble (literally as I was sitting in the port.) Add that to the wonderful tranquility that we found here and we took them as a sign to finally make the move to France, which we had been talking about since 2009. In 2014 we came back, this time our house was on the market and I had been very ill, brought on by stress and the lack of understanding from the areseholes that I had to work with (not the public!) The weather was not good that year but in the pouring rain we set out to see if we could find a house in Ambrieres les Vallees that we had seen on the internet. We couldn’t but what we did find were the beautiful undulating hills of where we live now, in a natural protected park, and even the weather could not damp their beauty. I was hooked. When we returned to England we continued to house hunt on the internet, and although the house we now own came up over and over again it was out of our price range. However just after we moved into our rental property over here the price was dropped by over thirty thousand euros. Despite living in a different department (Sarthe) we still wanted to live in this region we are in because of the tranquility. On the first day we house hunted in this area we viewed this house, in Ambrieres Les Vallees. It was a sunny spring day, the neighbours chickens were clucking around in the garden of this house and there were three goats chewing the lawn! But more than anything it was this…. As most people will tell you, the relaxed way of life. France has roughly the same population as England but is five times bigger! You can drive for miles and see one car normally the one that is driving up your arse! But seriously the French view life as something to be lived, especially here. You don’t need to dress up, in fact sometimes i want to dress up, but feel that I may look a tad out of place and tone it down. We love the attitude of the French, if they don’t like something they protest, good on them, because I was starting to find England a place where the telly is king; a telly that criticised the bloody French because they were striking again! Always keep the people in their place don’t you think! We were at a stage where were sick of the competitiveness, and the anger that seemed to be manifesting everywhere in England. We moved from Essex to a seaside town in Kent but the train became faster and more people moved into the area and it changed. Having said that the insular attitude of those who had originated from the area was starting to drive us mad, life will change, and if you stick your head in the sand and refuse to acknowledge it this may mean it will change for the worse. However if you accept it and try to mold it (even protest!) it may change for the better! Look at poor Mary Portas when she tried to save Margate, Oh my God the attitude of some of the people! We have a house in rolling hills, as you have seen, with just under an acre of land. We would never have been able to live in an area like this in England. In fact if this house, even in it’s current condition, was in an area even remotely equivalent in England it would always have been something we dreamed of, but would never, ever, have been able to afford unless we won the lottery. I believe that England is now a country of have and have not’s and that is becoming more and more apparent each day. Whilst I loved my house it was becoming impossible to afford to live, and we thought, there must be more to life than this! But more than anything for me it was the anger. I remember going back to England and sitting waiting for my train people watching. I saw people I used to work with, running for for the trains, jostling for seats, and they looked so angry, so angry. I had had enough. We had had enough. We both worked long hours (me sometimes from 8am until 7.30pm and I still got emails sent to me at home at 10pm!) and this was what was classed as acceptable. If you went home earlier then it was considered that you were not “committed” to your job. I have written before how the earlier you came in the earlier others came in, until people were coming into work at 6.30am, when in fact they were not expected to start working until 8.30 or 9!!! It was madness. It was as if a hysteria took over, because everyone was so afraid of losing their jobs because we all had mortgages to pay. French people have it right. They always have lunch,no not always two hours, but they have lunch, away from their desk. The shops are not open twenty four hours, and those that are open Sundays are only open until twelve. Family is important, and they spend quality time with them. I am not saying that there are no anomalies here, but that is for another blog. I have been asked why I moved. We just knew that if I did not do it when we did we never would, and felt as if we would be trapped forever. Having read what I have just written in this post I hope that you will read the upcoming posts this weekend from my handwritten blog. It is not an easy decision they will show you how hard it is. Some will make you laugh, some will make you cry. I am seriously thinking about putting some of them in my second book, after I have finished the first!! So please look out for them, I will send a series of them over the weekend. As always please share, get my blog out there, it may be just the thing that someone is looking for. Your blog is magnificent. Something is drawing to me francr and I am currently making plans to move across to mayenne region as my parents moved there two years ago. I will be looking for a home to rent for myself, husband and two children. I believe our quality of life will be much better than it is at present and I’m longing to get out of the rat race and rut I find us in at present. Hopefully my husband will find work and it will be sooner rather than later. I simply cannot wait.